The chalet Makalu is without doubt the most authentic and warmest of all. You are surrounded by a cossetted atmosphere with an unequalled, uninterrupted view over the mountains and the valley. The chalet Makalu is a prestige residence of 270 square meters in Courchevel village and can accommodate up to 10 people. 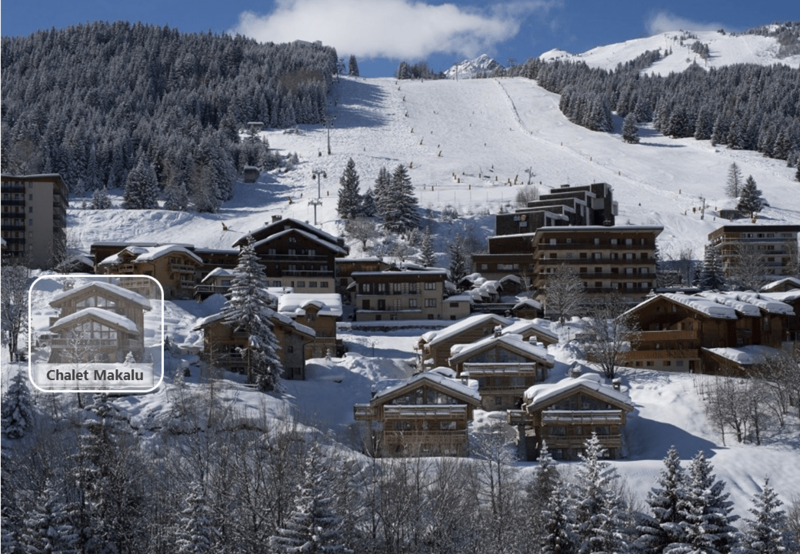 You stay a mere 200 meters from the pistes in a private gated development in the earth of the ski resort. Everything is at your disposal for a ski holiday in the Alps with your family and friends. The luxury chalet Makalu has an area of 270 square meters and can accommodate up to 10 people, 8 adults and 2 children. Each of the 5 bedrooms is equipped with a top of the range bathroom. A fully equipped kitchen opens onto a huge lounge furnished with an open fire. The use of the home cinema, bar and Jacuzzi will punctuate the enjoyment of your holiday. Stay in Courchevel in the chalet Makalu and spend a memorable holiday. Allow yourself to live a unique experience in exceptional surroundings with exceptional staff .See below the detailed description of the chalet and all the top of the range equipment at your disposal in the chalet Makalu in Courchevel village . Because everyone is different,with different wishes or unexpected needs,the 3 chalets Company is at your disposal in order to assist you to tailor-make your holiday and free you from logistics. We place our trusted partners at your services to oversee your daily needs,your moments of leisure or well-being. Master bedroom consisting of double bed, bathroom, shower and bath tub. Three bedrooms with double bed and bathroom equipped with shower.